Here in this post, we are going to bring you Oukitel C12 Pro Price in Nigeria, Specs and Review. We hope you enjoy reading this. If you are looking for every information about the new Oukitel C12 Pro then you certainly will have it here. Here we have complete details starting from the Price, specs , review as well as where to buy Oukitel C12 pro in Nigeria. Oukitel is another technological company who are committed to delivering standard brands of electronics at an affordable rate and C12 Pro is a typical example. Established in 2007 under Yunji intelligent Technology Company limited, the Chinese based technological firm is known for manufacturing and distribution of standard and high quality electronics ranging from mobile phones, laptops, pad and many more with an up to date design. 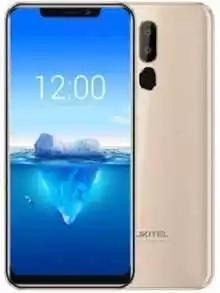 Aside C12, Oukitel have also produced numerous high class phones like Oukitel K7 Power, Oukitel k8, Oukitel K7, Oukitel K10, Oukitel K5, Oukitel K6, Mix 2, K8000, Oukitel K5000, Oukitel Ok6000 plus, K3, K10000 Pro, K6000 plus, K4000 plus, U20 plus, U16 max, U11 plus etc. Memory: 2GB RAM + 16GB ROM, Oukitel C12 Pro comes with 2GB RAM as a massive boost and upgrade to previous models by this same company. This is to allow you carry out multi-task on your device simultaneously without difficulties. The device also boosts a massive 16GB ROM which can also be expanded with SD micro Card to enable you save important files. Battery: 3300mAh, with 3300mAh you are sure of having a great time with your device without charging it. Made by Li-ion, the Oukitel C12 Pro is non-removable. The battery capacity can also allow you up to 36hours talk time. Camera: 8.0MP + 2.0MP Dual back camera and 5.0MP secondary camera. Another standout feature of this device is the dual focus back camera 8mp + 2mp that gives you a clear and quality photo. The front camera pixel is also 5mp. Network and connectivity: 2G, GSM 1800MHz,GSM 1900MHz,GSM 850MHz,GSM 900MHz. 3G, WCDMA B1 2100MHz,WCDMA B8 900MHz. 4G, FDD B1 2100MHz,FDD B20 800MHz,FDD B3 1800MHz,FDD B7 2600MHz,FDD B8 900MHz. WIFI, 802.11a/b/g/n wireless internet. Design: Though the device seems to be a bit large as the screen size is 6.18 inches, the weight is quite light. Designed with plastic as main material, Oukitel C12 Pro body is polished with some materials that allow your pam to have a good grip with it. Oukitel C12 Pro, in my opinion, is just an average phone that is able to serve your smartphone need. The device battery and camera seem very good, especially with the beauty-face detection option. The display of this mobile device is just not good enough, maybe to my own standard. Oukitel C12 Pro comes with 3300mAh battery capacity which can give you more than 24hours talk time, moreover the price seems to match the quality of the product too. MTN Business: Everything You Need To Know.